Blenders have changed in recent years, becoming more versatile and more powerful than ever before. This has led to a new wave of blenders that consumers are scrambling to own. Today blenders do a lot more than make milkshakes and soup. Some machines are now built to complete more tasks in the kitchen, while others are built as specialty blenders than complete one job perfectly. The wide range of blenders available on the market has created a great deal of confusion among consumers. Do you need more than one blender? 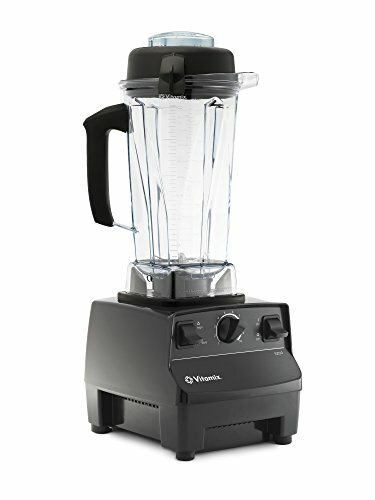 Can the blender you buy be used for different purposes? Which is the best blender for everyday use? Of the hundreds of options available how do you choose the best? In addition to traditional blenders that have become more powerful and versatile, there are now personal sized blenders that mix concoctions for one or two people, along with specialty blenders that are built solely to make baby food, smoothies, juicing and other specific uses. As a result many homes now have more than one blender and the appliance is more popular than ever. Here is a buying guide to help you sort through the array of blender options so you can decide which one will be the best investment for your kitchen use. We have reviewed the features and uses of blenders so you can evaluate how you will use the machine and decide which one will be the best for your family. Through our research we have evaluated specific blenders and companies to determine which ones are the best and will provide both a versatile and cost effective blender that will last for many years. Our objective is to save you time and money and give you the information needed to purchase the right blender for your home. By understanding the available options and which specific companies offer the best products, you can buy with confidence and have a blender that will serve your family’s needs for many years to come. The Vitamix 5200 Series Blendercomes in black, red or black and silver so you can find one to match the other appliances in your kitchen. This blender has one of the most powerful motors available on the market. It is used in both home and professional kitchen settings. The motor is more efficient than traditional blenders and has more power. With 2 peak horsepower and 60 hertz this blender has the power prepare food with a very high quality blend. In addition to a powerful motor the blender features a radial cooling fan which allows the blender to operate longer without overheating. The motor is built to last a lifetime and contains a low friction ball nearing motor. The motor is strong enough to crush ice and makes fantastic smoothies that are truly smooth. The blades on the unit are made of stainless steel and are 3 inches in diameter for superior chopping and blending. This also allows the blades to have a consistent cut every time you use the machine. The angle of the blades will move the food around and pull the food to the bottom of the blender for consistent textures with the finished product. The lid is vented so you can add additional items during the blending process without stopping the machine. The lid is also spill proof and the handle is ergonomically designed for an easy grip. The Vitamix 5200Series Blender will help you to create and prepare healthy meals easily. There are not additional attachments to keep up with, everything can be accomplished in one container. Make soups, smoothies, juicing, frozen drinks or creamy desserts. You can chop, blend, cream, heat, grind, and churn, all with a single machine. While this is not a juicer, which extracts the moisture from seeds and grains without the use of water, very little water is necessary and can produce similar results without the additional cost of a juicer. If you want a smaller pitcher for individual servings or additional accessories they can be purchased separately. The polycarbonate plastic pitcher is 64 ounces and contains easy to read measurements right on the jar allowing you to mix ingredients without needing additional measuring cups. The container is BPA free allowing you to blend hot mixtures without any concern. Clean up is super easy. Just add a little water and a drop of dish soap and run the blender on high for around 30 seconds. This will clean the unit and it will be ready to store. The Vitamix 5200 Series comes with a 7 year warranty. In addition to the mixer you will get a recipe book of chef tested recipes along with a CD. This will help you get the most use out of your Vitamix 5200 blender. With the blender, a taper is also included. This will help you move things around in the mixer, while it is running. It has a special collar that will prevent it from hitting the blades. This feature is good for thick mixtures like making peanut butter or frozen desserts. Another convenient feature is a hide away cord that is 6 feet long. Customers love the Vitamix blender because of its powerful motor and long term warranty. The blender is powerful enough to crush ice and make smoothies as well as juicing will a little water added. This creates a versatile blender than can meet a wide range of needs with one appliance. The blender is industrial strength can has been seen in many professional kitchens. For serious home cooks, or those who want to use a blender daily, this has a strong enough motor to get the job done and last for many years. The Ninja BL660 Professional Blender is a top pick because of its powerful motor and economical costs. It performs among the best and keeps up with more expensive machines and yet is very affordable. The unit also has a single serve attachment that is convenient for those who want to make smoothies on the go. The motor operates at 1100 watts giving it enough power to crush ice to powder and create a smooth and consistent blend. It can tackle ice, frozen whole fruits and hard vegetables like carrots in seconds. The machine can also break down greens like kale leaving a smooth mix that is easy to drink. The large pitcher is made of polycarbonate plastic and will hold up to 72 ounces of food which can create drinks for several people at a time. The blender also includes 2 Nutri Ninja cups made especially for vitamin extraction and increasing the nutrients in your finished product. With the cups there is a separate blending function and it can be attached directly to the blender. This allows you to blender a drink, turn the cup over, take the blade off and replace it with a ready to go lid. The Ninja BL660Professional Blender has a high power motor has three speeds and a pulse feature giving you the precision for mixing and blending to the texture you want. The pitcher will contain up to 9 cups of capacity and the single serve pitcher has a 2 cup capacity (16 ounces for each cup). The large pitcher also includes a pour spout for reducing drips and messes. The lid can be opened during the blending process when additional food items need to be added. An instruction book, inspiration guide and quick start guide are also included. The blender’s blades are designed for the highest level of extraction which produces a smoother finished product and releases the maximum amount of vitamins and nutrients without having to purchase a separate juicer. The blender has 6 blades which are strategically placed for the highest level of performance. With most blenders all of the blades are at the bottom of the unit will and will contain 2 to 4 blades. One of the features that makes the Ninja BL660 unique is the blade design. Instead of having the blades at the bottom, where the food must be pushed or pulled down in order to blend effectively, the Ninja has 6 blades positioned along the center of the container. This allows for more even blending and the ability to really puree and extract nutrients from the food. The single serve cups have separate blades at the bottom of the cups that are removed and replaced with a lid when the smoothie is finished. The unit is both BPA free and dishwasher safe. Though running the blender for a few seconds with warm water and a drop of dish soap will be all that is required for most uses. The Ninja BL660Professional Blender can be used to make smoothies or other frozen drinks, hot soups, purees, sauces, dips, or frozen desserts. The individual size cups are 16 ounces each and have a lid for increased portability. The unit comes with a 1 year warranty. The KitchenAid-KSB1570SL-5-Speed BlenderComes in white, silver, red or black so you can choose the color that best matches your other kitchen décor. The blender features 5 speeds, a pulse and ice button, which allows you to determine the level of blending you need. There is a soft start feature which means the motor gradually increases over a second or two before it gets to full speed. This feature provides a better blended finished product and helps to pull the food into the blades for more even blending. The KitchenAid-KSB1570SL has a 550 watt motor which is powerful enough to effectively crush ice. There is anIntelli-Speed control, which will adjust the motor speed based on the food being processed and how thick it is. The blender will maintain the optimal speed for the food that is being blended. This feature will allow the motor to last monger and prevents overheating. By optimizing the blend speed food is finished faster and it also contributes to even blending. This classic blender is able to stir, chop, puree, liquefy, and mix. There is a pulse option that can be used at any speed for better control over the level of blending. The crush ice feature combined with the pulse feature will enable you to get the ice to the perfect consistency for your drinks or frozen desserts. Whether you are looking for small ice cubes or ice snow, this blender can provide the level of blending needed for your favorite recipes. The blades are stainless steel and provide a steel enforced coupler. This provides an efficient transfer of power from the motor to the blade. The coupler is also coated to produce quitter operations. Clean up is easy. The pitcher can be put in the dishwasher. Most blending can be cleaned with a little warm water and dish soap. Run the blender for a few more seconds and any food that is caught in the blade will be released. Along with a powerful motor the polycarbonate plastic pitcher is 56 ounces and is built from BPA-free plastic, which is shatter, scratch and stain resistant. The lid has a pour spout for easy and spill-free pouring. There is also a vented lid which allows you to add ingredients during the blending process. The base is made from a metal die cast and the 4 blades are stainless steel. 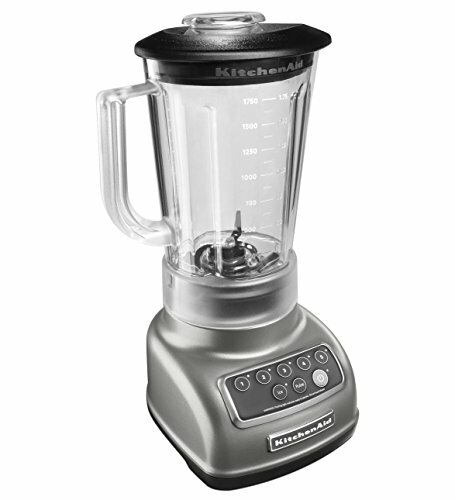 The KitchenAid KSB1570SL-5-Speed Blender comes with a 1-year warranty and is made in the USA. Customers love the power of the KitchenAid blender, along with the lower cost. The power of the motor makes great smoothies and crushes ice efficiently. Featuring 5 speeds provides a wide range of versatility so it can be used daily for all of your cooking needs. The motor of the blender is not powerful enough for juicing but can meet nearly every other home cook’s needs. The product is heavy duty and well designed and can stand up to daily use. The blender will last for many years and the company is known for its quality customer service. All of these factors lead to very happy and loyal customers. 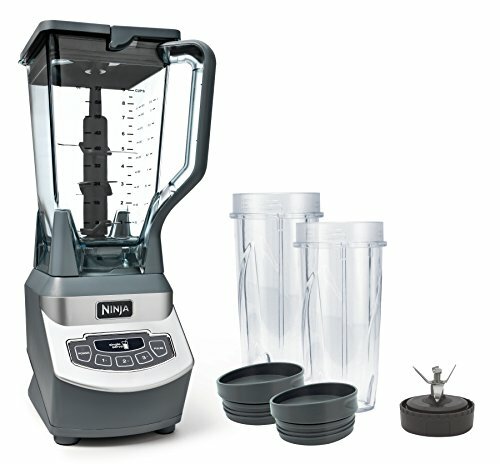 Each of these top three traditional blenders has the motor power needed to make smoothies, puree, mix, and blend foods. The Vitamix is the most expensive, has the most extensive warranty (7 years) and the most powerful motor. That is a professional grade blender for those looking for a blender than can stand up to heavy daily use. If you are looking to take advantage of a personal blender combined with a traditional blender, the Ninja offers single serving cups that give you on the go smoothies to enjoy. Both the Ninja and the KitchenAid offer a one year warranty and are a lot less expensive than the Vitamix. The pitcher on each of these products is made from polycarbonate plastic and are BPA Free. Having plastic that is BPA free is important if you want to blend hot foods. BPA is a toxin that is released from some plastics when the plastic is heated (like in the microwave). To provide a safer product, top brands now produce all the plastic components in a BPA-free plastic, which is safer. The plastic pitcher creates units which are much lighter. The polycarbonate is a high-grade plastic that can withstand large temperature changes and is less prone to cracking and breaking, enabling it to last a long time. Each of these units will provide top quality blending for home use. The Vitamix is strong enough to be used by both home and professional cooks. There are a number of different types of blenders available for consideration. These include full size blenders, personal blenders, immersion blenders, and all in one blenders. In order to decide which one is best for you consider what food or drinks you will be preparing in the blender. How much space do you have for storage? How much power do you need to prepare your favorite foods and how often will you use this appliance. Blenders Come inSeveral Different Styles and depending on your needs you may find it beneficial to have more than one blender on hand. While many blenders can be used for multiple uses, there are specialty foods and items that may require you to own more than one blender. Traditional Blenders are reviewed here. These are counter top blenders that will make great smoothies, soups, purees and a wide range of foods. Generally the blades and the motor speeds do not accommodate the needs of things like juicing, but for everyday use, these blenders will do everything the average family needs. More powerful motors will offer a wider range of what can be blended and better texture in your finished product. Personal Blenders have become popular over the last decade. These personal blenders provide single serving blends that can be converted to cups and carried on the go. For small families the 2 cup servings will provide drinks and even soups that can be taken to work and serve as a breakfast or lunch on the go. Some traditional blenders have personal blending attachments which allow you to have two appliances in one. Immersion Blenders are another addition to the blender line up that has become very popular in the last decade. These hand held blenders are used in the pot or bowl and can create a constant or pulse blend to puree food without having to transfer it to and from a countertop blender. For active cooks, the immersion blenders offer a high level of convenience. Often these blenders will offer attachments that can either stir, mix, blend or puree the food depending on your needs. The immersion blenders would be a good supplement to a traditional blender and generally not a replacement. All in One Blenders have multiple attachments that can use the same motor and then add food processing, blender, and other attachments. These units are larger than traditional blenders and the appropriate attachment must be used depending on what you are trying to accomplish. If you have the counter and storage space to store these, it can reduce the number of appliances that are needed in the kitchen. Specialty Blenders have entered the market in full force. Blenders are designed especially for one thing. It may be designed to create baby food, to create smoothies, for juicing, or for single serve smoothies. Each blender is designed for one purpose. If you mainly use a traditional blender for one thing, then a specialty blender has its advantages. For the most part a traditional blender (with perhaps the right attachment) can accomplish the job of specialty blender without needing a separate appliance. What Will The Blender Be Used For? When deciding which blender you should purchase consider what you will be using the blender for. Blenders can be very versatile but having the highest number of speeds or the highest powered motor may not be what you need. Crushing Ice is required if you want to make smoothies, frozen drinks or frozen desserts. This requires a heavy duty motor and is one of the key reasons for purchasing a more expensive blender. Inexpensive blenders will create smoothies that are not very smooth. Higher quality blenders will create smooth and creamy smoothies in seconds. Pureeing is generally used for making soups, creams, dips and other foods that require a smooth and consistent finished product. For pureed foods the pulse feature is very handy as it helps increase the amount of precision needed. Pureed food will not have any chunks in the finished food and should have a smooth and fine texture. Juicing is one of the most intense uses of blending. A true juicer will crush the fruits, vegetables and seeds to a micro fine level releasing all of the vitamins and nutrients. Most traditional blenders require water or liquid in order to effectively operate, thus requiring a specialized piece of equipment for juicing. A blender must have a very fast and powerful motor in order to juice with minimum levels of liquid. Stirring is needed for making items like milkshakes. This speed will provide a thicker texture to the item and is offered with nearly all blenders. Chopping is a feature used when making chunky soups or casseroles. This will leave smaller pieces of fruit or vegetables that will give a chunky texture to the dish. Mixing is used for making things like chicken or tuna salad. It will thoroughly mix the items but not puree it. An in between to chopping and pureeing. Liquefy will create a smooth drink like a smoothie. This will make a drinkable mixture when it is finished. Often this will be combined with crushed ice for cold or frozen drinks. A heavy duty motor is needed to successfully liquefy fruit and vegetables. Blending, chopping, and mixing are the most common uses for a blender. This allows you to prepare foods and create dishes at various levels of blending. A pulse feature is a great addition because it offer a greater level of control over the finished product. Number of Speeds. Blenders generally have speeds ranging from 3 to 16. A 3 speed blender will most likely be low, medium and high. More sophisticated blenders offer more speeds, but you need to consider whether you will use more than the 3 standard. The other useful speed is a pulse button. This allows the blender to stop and start in bursts and provides better control over the blending. An ice feature will allow you to crush ice and create frozen drinks with ease. If there is not a control specifically for ice the high speed will create crushed ice if the motor is powerful enough. Blender Blades are an important feature of the blender because it controls the level of blending that is offered. They are generally at the base with 2 or 4 blades. A 4 blade blender will blend much better than 2 blades. The best blades are made of stainless steel. These will remain sharp, are very durable, and resist rusting. If the blade is removable it is be easier to clean. Capacity of the Blender. The pitcher will establish the capacity. Blenders can range from one or two cups for single serve options and 4 to 10 cups for full size blenders. Some blenders offer more than one size option of pitcher with the unit. These might come with the original purchase or can be added as accessories when needed. Pitcher Material. Pitchers are generally either made of glass or plastic. If the pitcher is made of glass the unit will be heavier. There is also a higher risk of breakage with a glass pitcher. The plastic pitchers are becoming more common and the material has been improved. Higher end blenders that offer plastic pitchers with a heavy duty polycarbonate plastic that is BPA free. Cheaper models will be thinner plastic that will crack over time. Most of these pitchers are dishwasher safe, however, most can be cleaned by blending a drop of dishwasher soap with warm water and blending it for a few seconds. This will free up any food that has stuck in the bottom near the blades and leave you with a clean blender. Cheaper plastic pitchers will crack sooner when used in the dishwasher. Motor Wattage. One of the key features of a blender is the size of the motor. To blend ice and juice requires a much stronger motor that simple mixing and blending. A stronger motor will also produce results that have better texture and are more consistent. Generally motors will range from 300 watts to 1400 watts for high end professional units. 300 watt blenders does well for basic blending and chopping of foods. For smoothies you need a blender with at least 500 to 600 watts. This will have enough power to crush ice and create frozen concoctions. For heavy duty blending like grinding coffee beans you want 700 watts or more. Juicing requires a higher powered motor over 700 watts as well. Blenders are a must have in the kitchen, if you do any amount of cooking. With the tendencies towards healthier eating blenders can increase the food options and make delicious shakes, smoothies, soups and more than can be enjoyed in seconds. The preparation is very fast and the versatility makes the blender a great kitchen appliance that will be used weekly, if not daily. Finding a blender that will offer the power and reliability you need will enable you to make the most out of the blender you own. Evaluate how you will use the blender and what things you want to make. Buying an inexpensive blender can result in lower quality blending and multiple purchases. If you will use a blender frequently it is best to invest in a piece that will provide great results and one that will last for many years. By reviewing the features that are important to you and howthe blender will be used, you will be able to choose a top quality product that will produce high quality results you are looking for.